Studies show that American men have experienced a decline in the quantity and quality of their friendship and that the average man now has only two close friends. The Men of Suncreek seek to build the deep, meaningful friendships that come from being "brothers in Christ." The Men of Suncreek are active in a variety of ways. 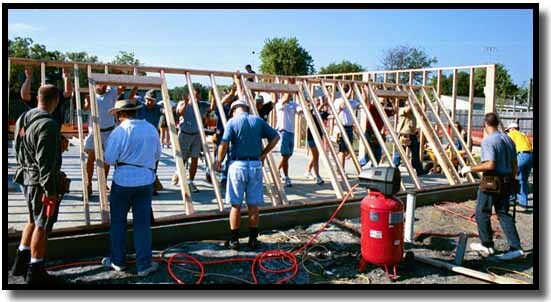 Members of our group often volunteer to help with other Church projects. We participate in Handy Helpers (home repair for seniors), Ramp and Roll (construction of ramps for the disabled), and the annual church-wide garage sale. In the Spring and Fall, MOS has been known to host Men's Weekend Retreats. These retreats provide an excellent opportunity for spiritual growth and relationship building. We invite the male youth of the church to join us for the Fall Retreat. Retreat activities include fellowship, devotions, bonfires, horseback riding, hiking, and horseshoe and washer tossing. 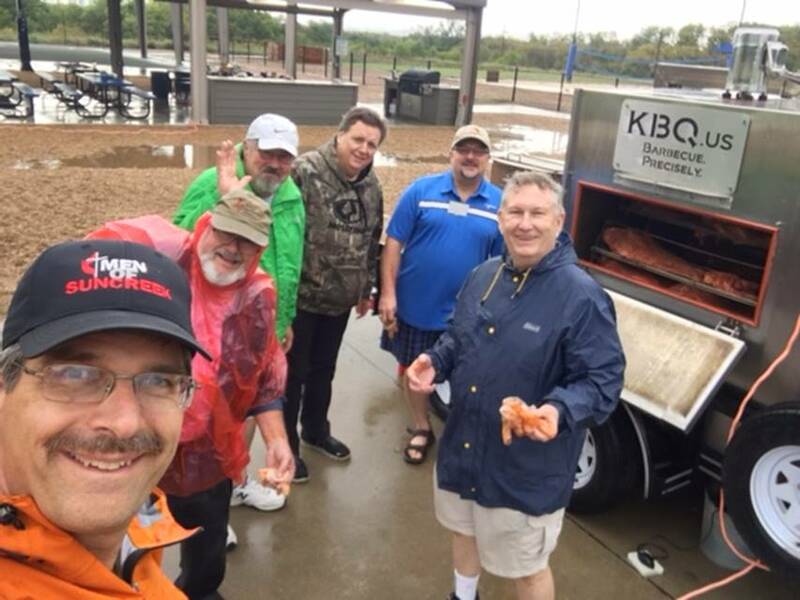 Attending sporting events, go camping, fishing and shooting on weekend retreats, compete in our annual golf tournament or serve together on a charitable project for those in need - these are some of the ways we grow as friends, through shared experiences. Our group periodically sends out e-mail messages to remind members about the next meeting and other special activities. If you would like your name added to this list, send your name and e-mail address to Brian Smith at Brian.Smith@cdk.com. Men's Breakfast with Coach Terry Gambill of Allen H.S. 8:00 am in the Round Room. They meet every 2nd Monday at 11:30 at Allen Café for lunch. If you would like to receive emails about the group, email BigTX@aol.com. Our mission is to support spiritual growth among men, helping men to mature as disciples as they encourage spiritual formation in others. When a man lives daily in faith, God is honored and many lives are blessed. Transformed hearts are forged only within Christ-centered lives. Everything desired from and through men comes as a result of men growing spiritually and becoming disciples of Jesus Christ: family blessings, stewardship, service, outreach, prayer, spititual leadership, lifestyle witness, and faithful obedience. Every man has different gifts, graces and areas of interest. Therefore opportunities for you to participate include diverse ministries of the church, such as missions, Bible studies, retreats, workshops/seminars, leading and participating on committees, teaching or attending Sunday school classes, youth ministries, scouting, mentoring and assisting in leading worship service. Join with friends to serve God by serving others. Grow in Christ by participating in the life of Suncreek United Methodist Church. Click on this link for information about UMM events in the North Texas Area.